Perhaps it’s baby season and there’s a lot of you out there preparing for your ‘spring chickens’, but pregnancy, maternity and newborn-themed Etsy goodies were your most loved finds last month. The stylish mums-to-be liked the look of the practical but pretty maternity hospital gown (above) from Modmum. Buttons and openings where you need them, you can’t leave for hospital without it. 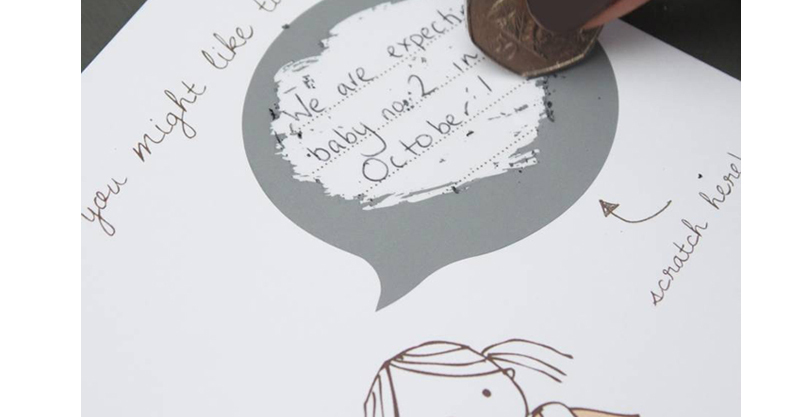 Leave family and friends guessing until they scratch a card to learn about your exciting news with a pregnancy announcement scratch card from Lou Brown Designs. You write the surprise – can be anything you like – and cover with a special sticker before sending to the recipient. 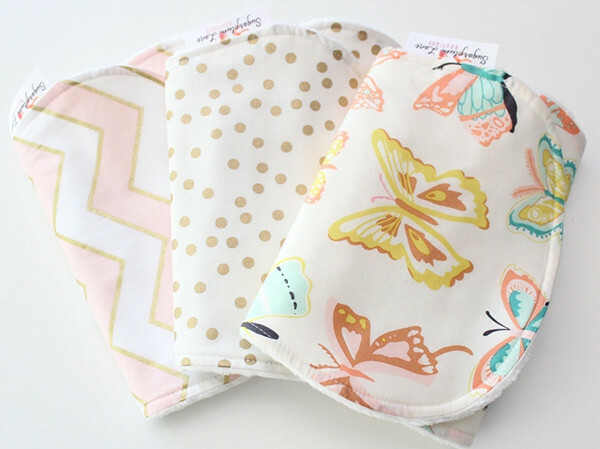 The pretty butterfly burp cloth set from Sugar Plum Lane almost (almost) makes you forget the cloth’s ugly purpose. Absorbency is what you want, so each cloth is backed with a soft minky fabric. 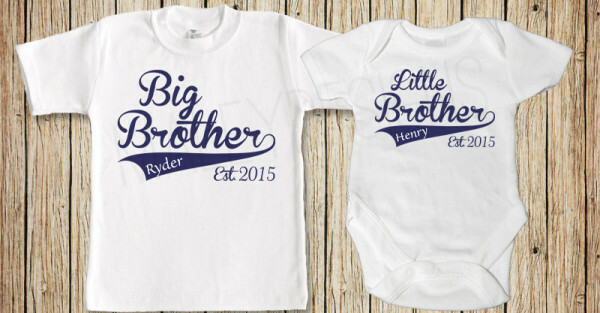 Let your first son feel super special and point out who is new kid on the block with the big brother T-shirt and little brother onesie set that’s just for the boys. Malley Designs can add names and birth years too. Discreet nursing access in a fashionable top means you won’t feel trapped at home for the times you need to breastfeed your baby and Milksense has made this bright beauty super stretchy. If you follow us on Facebook, you’ll know we’re big fans of the handmade designs on Etsy. Pop over daily at 4pm to read about what we’ve found just for you.